Nationally, $7 out of every $10 dollars in a low income family’s budget are spent on basic needs such as housing, clothing, transportation and food. Clearly this has implications for hunger and food security for families. Increasing access to healthy food is a crucial in ending family homelessness in Dane County so families don’t have to choose between paying rent and putting food on the table. 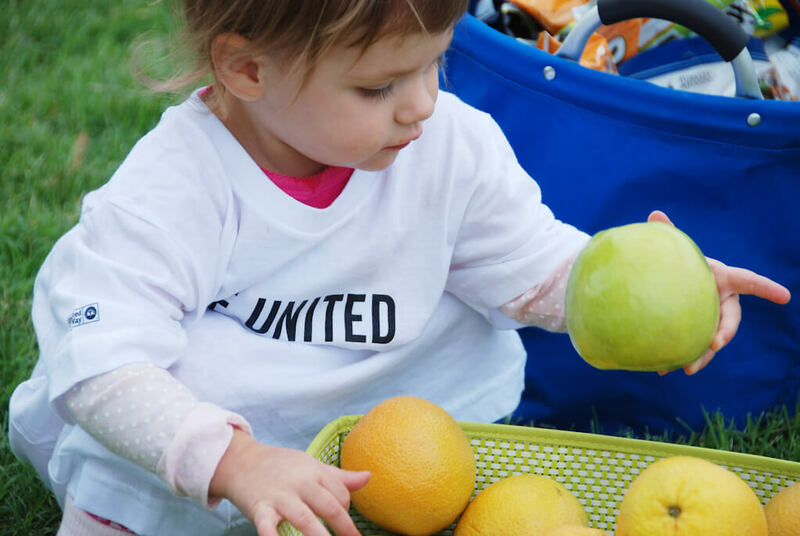 Today, United Way’s Healthy Food for all Children Delegation announced the creation of a 10 year plan to increase access to fresh and healthy food for all children in Dane County. The plan focuses on several key strategies which will increase access to healthy foods for children and families, the capacity of neighborhoods and communities to support affordable healthy food choices, and culturally appropriate healthy food in school, after-school, summer programs and childcare through expanded choices for students and integrated education on healthy living. Over 30 community leaders have created a plan that unifies the community in a common vision to increase options and availability for healthy food for children. This Delegation is a joint effort between United Way, the Community Action Coalition for South Central Wisconsin, Inc (CACSW). and the Irwin A. and Robert D. Goodman Foundation. Low income families have two important ways to gain access to healthy food. These are through public benefits and access to food pantries. The Plan will Increase participation in benefit programs for qualifying children and families, increase access to and use of free or affordable healthy food through pantries, evening meal programs and incentive programs, and increase family self-sufficiency. Both local and national research supports the importance of locally available healthy food choices and overall health of low income children and families. The Plan will increase healthy options through locally placed markets, retail, food gardens and urban agriculture, improve and expand infrastructure for movement, storage, production and processing/transformation to maximize availability of fresh food. Increase Culturally Appropriate Healthy Food in School, After-School, Summer Programs and Childcare through Expanded Choices for Students and Integrated Education on Healthy Living and Eating. Most children in Dane County receive at least one of their meals (if not more) at school, childcare and Head Start or at neighborhood/Community Center program. The Plan will increase number of children consistently exposed to healthy food at school, after-school, summer programs and childcare, number of children receiving an engaging, integrated education on healthy food at school or in afterschool programming and organizations dedicated to a healthy food environment. An adequate supply of healthy food is absolutely critical for children’s healthy development and academic success. Proper nutrition literally affects the growth of the brain. For the first eight years after birth, children’s bodies and brains develop at a rapid pace. Children need the nutrients in healthy foods to help their bodies grow strong and healthy. Dairy and fresh vegetables and fruits are particularly important. Fruits, vegetables, fish and whole grains are full of nutrients that ensure a child’s brain functions properly and maintains overall mental health. The effects of hunger and food insecurity on children are significant. Research has shown that children who went hungry at least once in their lives were 2½ times more likely to have poor overall health 10 to 15 years later, compared with those who never had to go without food.